On April 10th 2018, with joy and hope, the Rector and community of the Pontifical Irish College welcomed back the Silver Jubilee class of 1993. Fr Declan Hurley of the Diocese of Meath, and administrator of St Mary’s Parish, Navan, presided at a celebration of the Eucharist with the whole College community. 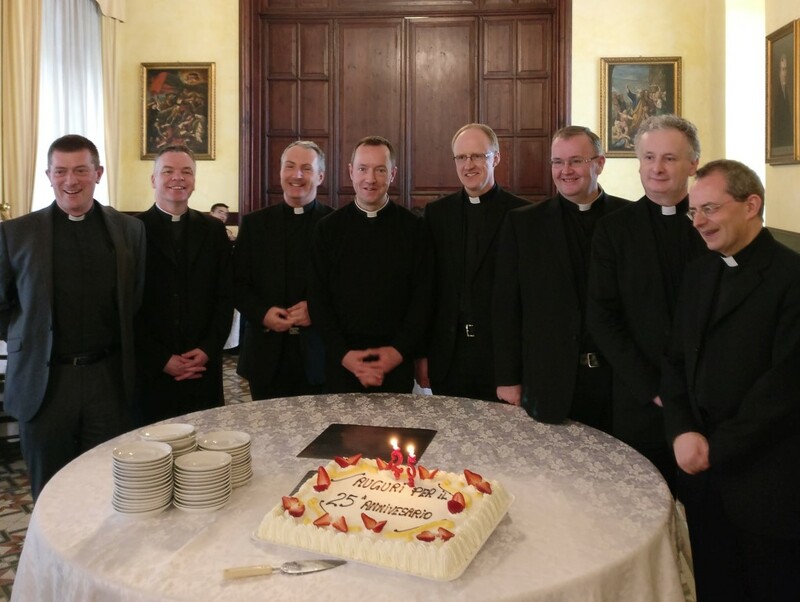 In his homily Fr Declan reflected on the “yes” that each member of the 1993 class had made to the Lord in answering the call of the priesthood. He reminded us that it is only by God’s grace that we are able to make our own yes to the Lord and that, while we may make that yes naively at first, eventually, and by God’s grace, our yes is perfected and brought to fruition.